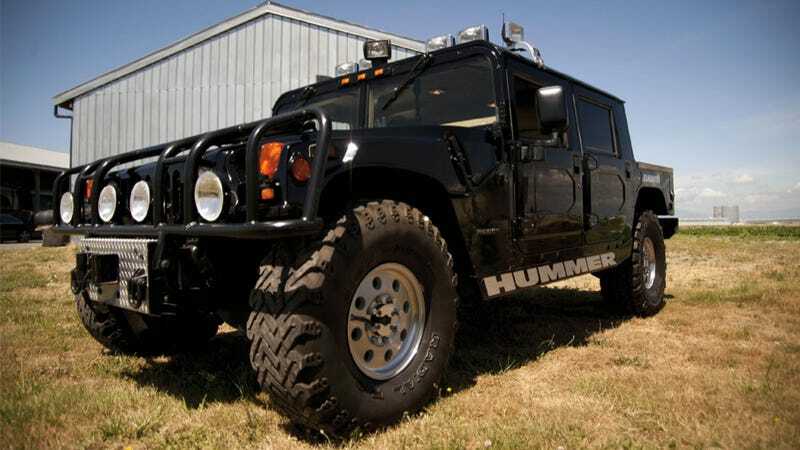 Most used Hummers look like they’re demanding somewhere between $60,000 and $100,000 on eBay. This one, complete with a menagerie of custom options including an external public address system featuring three sirens, just sold for $337,144. It probably helps that its first owner was Tupac Shakur. Like any self-respecting Hummer H1 owner, Shakur wasn’t going to let this one go unpersonalized. The interior is trimmed in burl wood with beige leather upholstery, and provides a 12-disc Clarion sound system, Sony GPS, a central tire inflation system, air co full power options, and a 12,000-pound winch. Included with the vehicle: a license plate, “YAKNPAK,” honoring Shakur and late rapper Yaki ‘Prince’ Kadafi; and promotional cassettes for Michael Jackson’s Thriller and 2Pac’s All Eyez on Me. Accompanied by two copies of the vehicle’s registration information, listing Shakur as the original owner of the vehicle, as well as a copy of the affidavit for transfer, stating that “Tupac A. Shakur, the owner of the above described vehicle or vessel died on September 13, 1996 in Las Vegas, Nevada,” and listing Afeni Shakur, the artist’s mother, as property successor. Much like Pac’s catalogue, this Hummer is also going straight through the roof in value. Back in 2007 it sold for a mere $200,000, so the extra $137,144 could probably just buy you another H1 to replace this one. It’s unclear who’s bought it this time, but it’s clearly someone with both wealth and taste. The most recent listing claims the Hummer has only 10,100 miles on the clock. This is strange, because the number of miles on it went down from 2007, when it had 14,000 miles on it. Indeed, Makaveli is a man of many mysteries.